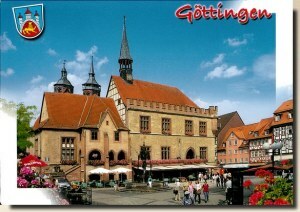 The origins of Gottingen lay in a village called Gutingi. This village was first mentioned in a document in 953. The city was founded between 1150 and 1200 to the northwest of this village and adopted its name. In medieval times the city was a member of the Hanseatic League and hence a wealthy town [wikipedia].